What are the changes brought in by virtue of Negotiable Instruments (Amendment) Act, 2015 relating to the Territorial Jurisdiction to file Complaints of Dishonour of Cheques? Gujarat High Court has explained the principles relating to it in a recent Judgment in Brijendra Enterprise v. State of Gujarat and another with illustrations. The Judgment was delivered by Justice J.B.Pardiwala in an application under Section 482 of Cr.P.C for quashing a Criminal Complaint filed under Section 138 of NI Act on the ground of lack of territorial Jurisdiction for the Magistrate to try the Case. (v) amending Explanation I under section 6 of the said Act which relates to the meaning of expression “a cheque in the electronic form”, as the said meaning is found to be deficient because it presumes drawing of a physical cheque, which is not the objective in preparing “a cheque in the electronic form” and therefore, inserting a new Explanation III in the said section giving reference of the expressions contained in the Information Technology Act, 2000”. (1) 'A' holds an account with the Navrangpura Branch, Ahmedabad, of 'XYZ' Bank, issues a cheque payable at par in favour of 'B'. 'B' holds an account with the M.S. University Road Branch, Vadodara, of the 'PQR' Bank, deposits the said cheque at the Surat Branch of the 'PQR' Bank and the cheque is dishonoured. The complaint will have to be filed before the Court having the local jurisdiction where the M.S.University Road Branch, Vadodara, of the 'PQR' Bank is situated. (2) 'A' holds an account with the Navranpura Branch, Ahmedabad, of 'XYZ' Bank, issues a cheque payable at par in favour of 'B'. 'B' presents the said cheque at the Vadodara Branch of the 'XYZ' Bank (but 'B' does not hold account in any branch of the 'XYZ' Bank) and the cheque is dishonoured. The complaint will have to be filed before the Court having the local jurisdiction where the Navrangpura Branch, Ahmedabad, of the 'XYZ' Bank is situated. "Therefore, to summarise, first, when the cheque is delivered for collection through an account, the complaint is to be filed before the Court where the branch of the bank is situated, where the payee or the holder in due course maintains his account and, secondly, when the cheque is presented for payment over the counter, the complaint is to be filed before the Court where the drawer maintains his account. 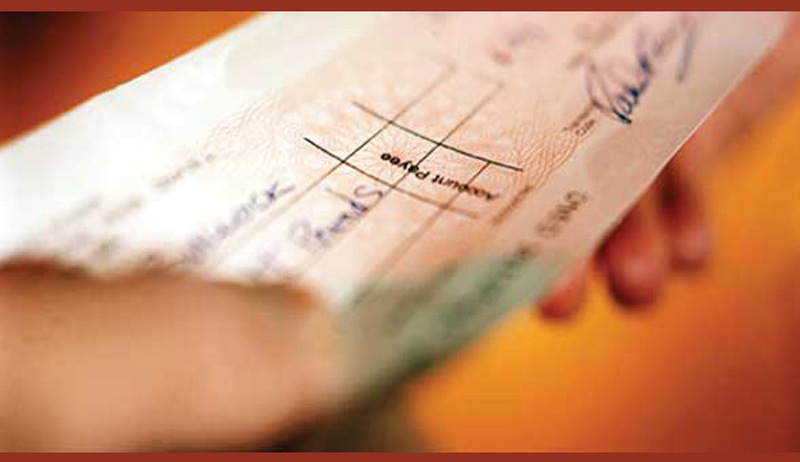 Secondly, once a complaint for dishonour of the cheque is filed in one particular Court at a particular place, then later on if there is any other cheque of the same party (drawer) which has also dishonoured, then all such subsequent complaints for dishonour of the cheques against the same drawer will also have to be filed in the same Court (even if the person presents them in some bank in some other city or area). This would ensure that the drawer of the cheques is not harassed by filing multiple complaints for dishonour at different places. It necessarily implies that even multiple complaints for dishonour of cheques against the same party can be filed only in one Court even though the cheques might have been presented in different banks at different places. Justice J.B.Pardiwala also explained that the words “otherwise through an account” in S. 142(2)(b) would mean that the cheque is presented for payment over the counter.